The top use case tried by smart speaker owners is asking a general information question. Some people call this the open Q&A feature. No matter what you call it, providing information to smart speaker users is a core use case. In the Smart Speaker Consumer Adoption Report earlier this year, we found that 91% of smart speaker owners had tried this question and answer feature and one-third use it daily. 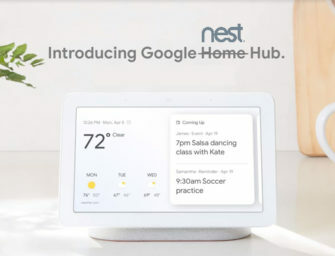 That finding made question and answer the most tried feature of smart speakers, the second most frequent monthly use case and the third most popular daily interaction. However, there has been little or no information on the types of questions that are most commonly asked of smart speaker-based voice assistants. The question posed to me earlier this year was, “What types of questions are people asking?” Well, Voicebot conducted a nationwide survey of U.S. adults to find out. Music and news are the most common information requests by a wide margin. Given that music listening is the most popular monthly and daily use case on smart speakers, it is not surprising that questions about music are common. That is likely an in-context use case to ask about music given that the device is so frequently used for entertainment. Smart speakers are also popular to consuming news content such as the Flash Briefing format offered by Amazon Alexa and a number of dedicated Alexa skills and Google Assistant Actions. Once you start viewing a device as a source of news information, it is not surprising you would then think to ask it questions related to news. After music and news a number of task-oriented questions bubbled to the top. “How to” instructions, retail store hours along with movie and restaurant information are use cases many of us are accustomed to executing on a smartphone. It is interesting that consumers are now looking to the smart speaker to bypass the smartphone for some of these use cases. About 16-23% of smart speaker owners had tried one of these task-related question types. Another interesting finding is that there is a hierarchy of news in terms of questions posed to smart speakers. At 39% of smart speaker owners, general news questions are about twice as common as those related to sports. In turn, sports is about two times more common than questions about celebrities or politics. Fashion and lottery which fit in the lifestyle categories are uncommon with fewer than 1 in 20 smart speaker owners requesting information on the topics. That is about half of what we found for celebrities and politics. These ratios could change, but we are seeing clear differentiation in terms of the types of news information that smart speaker users are inclined to consume on the devices. One thing to watch out for in this data is some of the question are related directly to commerce. Retail store hours, restaurant and local business information registered at 22%, 16%, and 10% respectively. Adoption is not yet broad for these categories, but as they grow could become increasingly important. Consumers asking these types of questions are typically primed for a purchase. Similarly, the fact that 13.5% of smart speaker owners have asked about product information indicates a shopping intent. To be absent from an information channel could lead the consumers to find the information on the web or it could lead them to go with a competitor that has a voice assistant-ready presence. Voice-assisted shopping presents several new opportunities for sellers of products and services, but there is also risk for those that ignore the new channel. There is clear evidence that media companies should have a presence in voice. Consumers are using smart speakers to access media ranging from music, news and sports to visual entertainment. And, they are clearly asking questions about these topics which can lead directly into media consumption. However, the more important finding may be that local businesses, retailers and product companies already have evidence indicating that voice assistants in general and smart speakers in particular will be an important consumer channel early in the purchase consideration funnel.